Leveraging on our enormous industrial experience, we are offering a wide range of Rubber Wood Box. The offered box is designed and developed by our trained professionals making use of latest techniques and finest quality materials. Provided boxes undergo a series of tests for quality approval before being delivered at clients’ end. 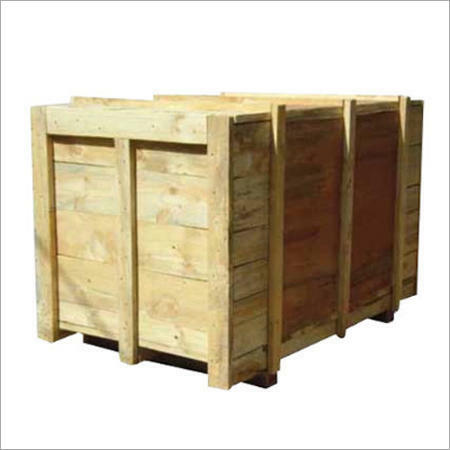 Moreover, our customers can avail these boxes from us at most economical rates. Established in the year 2001, we, Jyoti Packing are reckoned as prominent manufacturer, trader and supplier of a quality approved range of Wooden Box, Wooden Pallet, Lashing Belt, Bubble Roll, VCI Plastic Film, HDPE Cover, Silica Gel, VCI Sheet, Vacuum Packaging Pouch, Aluminum Barrier Foil, VCI Powder Pouch and Aluminum Foil Cover. We design and manufacture these products in conformity with the predefined global quality guidelines by using optimum quality wood and advanced technology under the expert direction of our trained professionals. To cater the various demands and needs of our clients, we provide these products in diverse diameters, sizes, shapes, and dimensions. Our accessible products are widely acclaimed and appreciated amongst clients for termite resistant, high strength, dimensional accuracy, compact designs, durability and robust construction. In addition to this, we provide these products to our valuable customers at pocket friendly rates.